Game Preview: Multiply Like Bunnies! Let the springtime spinning begin! 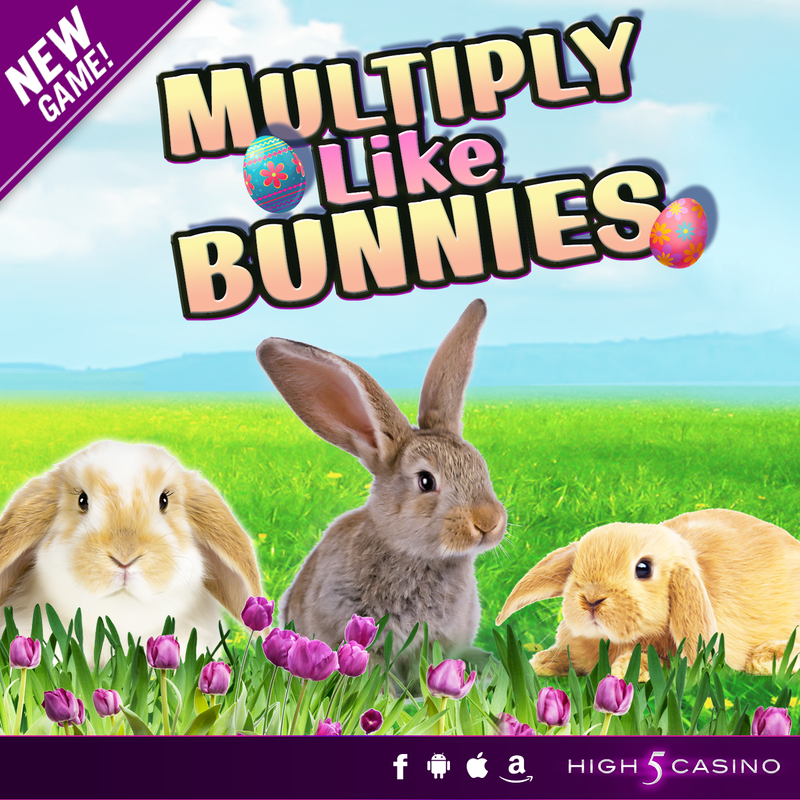 High 5 Casino’s 195th game Multiply Like Bunnies arrives soon! It’s that time of the year again! Think of cuddly bunnies, colored eggs, cute chicks, and a charming puppy wearing bunny ears. All the cuteness in the world is in Multiply Like Bunnies where we believe that springtime is the only time it’s good to put all your eggs in one basket! Celebrate this eggs-tra special season with baskets of coins, sp-egg-tacular wins, and egg-citing gameplay. Hop on over to Multiply Like Bunnies! 3 by 5 reels. 243 ways to win. Wild Multipliers and Bonus Select. Check the YouTube video below and get ready to Hop into big wins on your High 5 Casino Reels! Are you ready for sp-egg-tacular wins in Multiply Like Bunnies? Comment in the conversation bubble located on the top right corner of your screen and let us know! This entry was posted in game preview, Game Release, High 5 Casino, High 5 Games, High 5 Moments and tagged Android, App Store, Apple, Bunnies, Eggs, Facebook, Free Games, game preview, Game Spotlight, Google Play Store, High 5 Casino, High 5 Casino Mobile, High 5 Games, iOS, iPad, iPads, iPhone, iPhones, mobile gaming, Multiply Like Bunnies, slots, social gaming, Spring by hoothigh5. Bookmark the permalink.